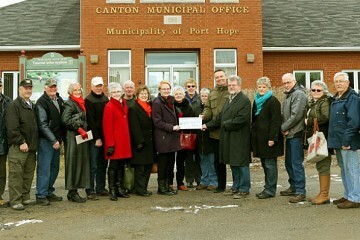 Rural redesign Chair, Ben Currelly, and Spokesperson Caroline Thornton, made a presentation and submitted a petition with 2,603 signatures to the Port Hope Committee of the Whole on February 18, 2014. There is significant dissatisfaction with the amalgamation of Hope Township with Port Hope which has been voiced many times over the last 13 years. The suggestion of a significant (46.9% ) for the municipal portion of the proposed tax increase for Ward 2 residents was the tipping point that reminded Ward 2 residents that amalgamation was not working. Caroline emphasized it was not intended as a ploy to affect the tax conversation, nor was it intended to cast aspersions on the current or past Port Hope Council members. She told Council that the residents of Ward Two wish to hold on to the rural values and lifestyle that are fundamental to them, and that joining a like-minded rural community will allow them a long term solution to a problem that has been playing out for more than a decade. Municipal Staff advised a referendum pertaining to municipal restructuring is of Provincial interest and therefore precludes a municipality from putting that question on the ballot. Following the presentation of the Rural Design petition signed by 81% of Ward 2 residents, only one solitary question was raised. Deputy Mayor Jeff Gilmer asked what rural community the group planned to realign with. 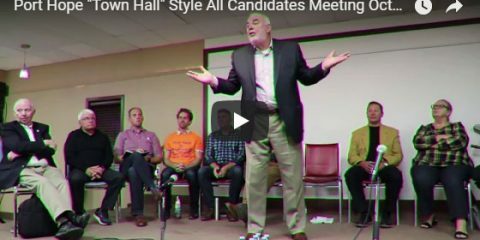 Caroline explained that Ward 2 is prohibited from talking to any other municipality until Port Hope agrees to allow Ward 2 to leave, therefore the question cannot be answered at this time. Surprisingly, other than that one inquiry, there were no more questions, and seemingly little interest in the issue or petition, from members of Council. The presentation was simply flagged as “received for information” and referred to General Government and Finance, where the efforts and signatures of 2603 Ward 2 residents were about to be rubber stamped “received for information”, until Mayor Thompson interrupted and asked that the petition be forwarded to the Province of Ontario for their consideration and investigation. 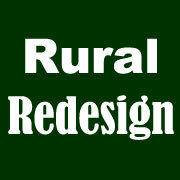 Rural Redesign will be meeting with MPP Rob Milligan on Friday , March 7, 2014 to discuss the procedure for presenting a petition to the Legislative Assembly of Ontario.